“I would rather be remembered as a good judge than a bad Chief Justice,” said Justice Jasti Chelameshwar (Retd) as he sat down with Sanjay Jha, president of the All India Professionals Congress (AIPC), in a frank and forthright discussion called “Dissent in Democracy” organised at Father Angels School campus in Bandra, Mumbai, on Friday. 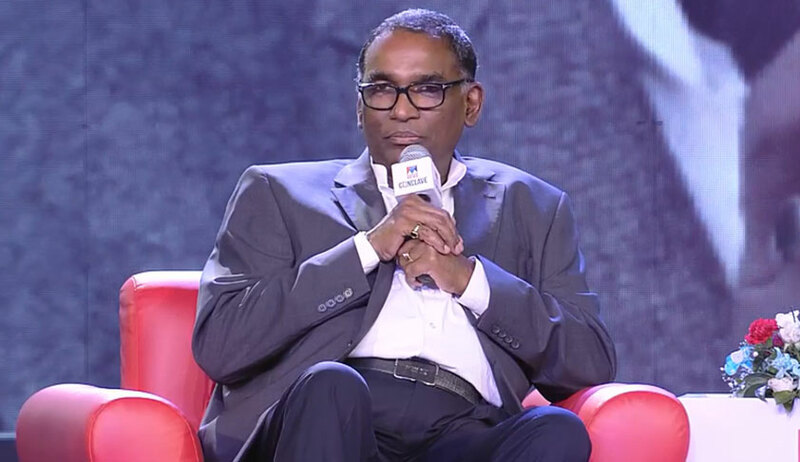 Justice Chelameshwar spoke on a wide variety of subjects, including the controversial press conference, the functioning of the CBI, NJAC and the government’s say in the appointment of judges. Sanjay Jha: When CJI Ranjan Gogoi was asked by the journalists whether Judge Loya’s case was the reason for that press conference, he said it was. So was that case the reason? Justice Chelameshwar: Let us focus on what he said. When somebody (from the media) was pestering him, then he finally said: Yes! The Judge Loya case was also one of the reasons why we held that press conference. Sanjay Jha: Are the benches in Supreme Court subject to being fixed? Justice Chelameshwar: It all depends on your usage of the word ‘fixed’, you see irrespective of where you practice as a lawyer, high court or the Supreme Court, if a matter is listed before a bench at a point of time, normally that matter continues to be listed before that bench unless the judge has recused from that matter or for some professional purpose, the Chief Justice decided to transfer it to some other bench. Overnight, if cases are taken away from judges, then all kinds of inferences can be drawn but one plausible inference that can be suggested is that maybe the CJI did not have confidence in these judges. I suppose the Supreme Court cannot be an exception to this. The administrative side of this becomes a problem as there is no reason given, on the judicial side one may agree or disagree with the tenability of an order, still there are grounds given, at least reasons are recorded. Justice Chelameshwar: All right have fun then, don’t say anything and the CBI and the RBI will get destroyed. Men and women in power do not like criticism. But remember when President George Bush got elected in 2000, his election was contested and the Supreme Court held in favour of Bush. A book called ‘Supreme Injustice’ was written by Professor Alan M Dershowitz, who taught constitutional law at Harvard, criticising the Supreme Court judgment. See, Kerala produced two outstanding jurists Mathew and Krishna Iyer, neither of them became Chief Justice of India. It is not necessary that everybody should become Chief Justice of India. Not many CJIs are remembered the way these two judges are, some (CJIs) are remembered for the wrong reasons (smiles). I would rather be remembered as a good judge than a bad Chief Justice.